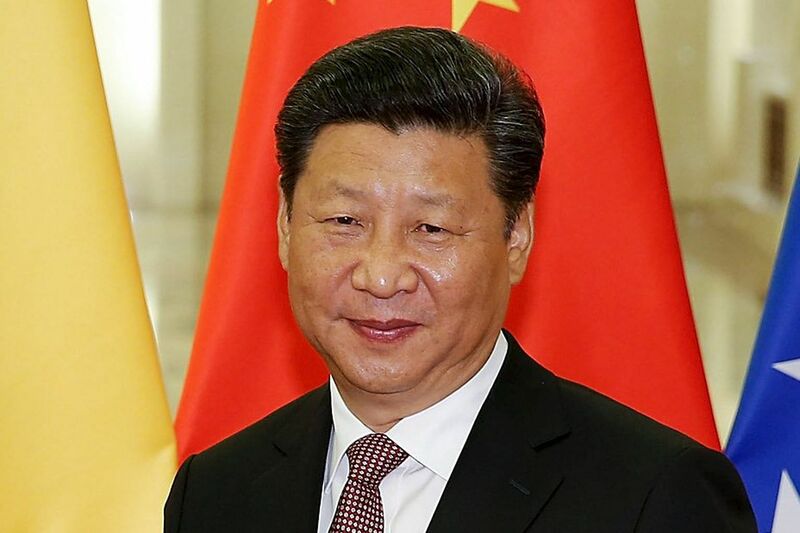 BEIJING • Chinese President Xi Jinping has heaped praise on Britain for what he called a "visionary and strategic choice" to strengthen commercial ties with China, as he prepared for a state visit to the United Kingdom that is expected to be richer in pomp and considerably warmer in tone than his recent trip to the United States. The trip comes at a time of global anxiety about China's slowing growth. Mr Xi acknowledged "concerns about the Chinese economy" but sought to allay them in a written interview with Reuters. China itself is worried about the slowing of the broader global economy, Mr Xi said, even while he expressed confidence that Beijing would weather the current downturn as it reshapes its economy to be more resilient in the future. That confidence will be on display when Mr Xi arrives in London today to kick off a four-day visit that is expected to cement ties between Britain and China, including through a host of business deals. "The UK has stated that it will be the Western country that is most open to China. This is a visionary and strategic choice that fully meets Britain's own long-term interest," Mr Xi said. The islands and reefs in the South China Sea are Chinese territory since ancient times. They are left to us by our ancestors. The Chinese people will not allow anyone to infringe on China's sovereignty and related rights and interests in the South China Sea. The actions China have taken in the South China Sea are legitimate reactions to safeguard its territorial sovereignty...The South China Sea provides important waterways for China's international commercial exchanges. China needs peace, security and stability in the South China Sea more than any other country. China would not want any turbulence there, still less would it be the party to stir up chaos. It is working hard to take forward consultations on a code of conduct in the South China Sea within the framework of fully and effectively implementing the Declaration on the Conduct of Parties in the South China Sea. MR XI JINPING (above), in response to a question on China being increasingly assertive in pushing its territorial claims in the South China Sea. His comments come amid debate over what is the best way to engage with a communist-ruled China that has grown more influential economically and diplomatically, but which maintains stances in areas from human rights to the South China Sea that are often at odds with those widely held in the West. Such tensions were on display when Mr Xi visited the US last month, with friction over issues from cyber theft to China's maritime disputes with its neighbours. Mr Xi has said his visit to Britain could be the start of a "golden time" in bilateral relations. Britain was the first Western nation to join the China-led Asian Infrastructure Investment Bank this year. And Chancellor George Osborne, visiting Beijing last month, courted Chinese investment and won praise from Chinese state media for having the "etiquette" not to press human rights issues. One deal expected to be inked during Mr Xi's visit is a plan for two state-owned Chinese utilities to invest in a multi-billion-pound nuclear power project being built in partnership with the French in England. Mr Xi has urged Britain and other countries to avoid what he characterised as bias against Chinese firms, as Beijing supports those in fields from high-speed rail to nuclear technology in their efforts to compete for contracts overseas. "Competition is necessary for a business to grow, and no one will give away a market to its rivals," Mr Xi said. "We hope that such competition is benign and market-based." He acknowledged that the slowing of China's economy was a concern but said it was normal as a part of structural adjustments. "Going forward, we will deepen market-oriented financial reforms according to law to cultivate an open and transparent capital market," he said. US and European businesses have complained about what they see as an increasingly restrictive environment for doing business, for example with new rules on technology sales forcing firms to choose between forgoing the market and handing potentially sensitive data to the Chinese authorities. Mr Xi said China would continue to seek to attract foreign investment, improve the rule of law to enhance the business environment, protect intellectual property rights and promote fair competition. On a lighter note, Mr Xi, a football fan, will visit the Manchester City Football Club on Friday with British Prime Minister David Cameron, according to a schedule of the trip provided by Buckingham Palace. "My greatest expectation on Chinese football is for the Chinese team to be one of the best in the world and for football to play an important role in making people stronger in body and mind," he said.